Use active solar (solar hot water collectors) as the primary source of heating and domestic hot water to save on fossil fuel heating bills. 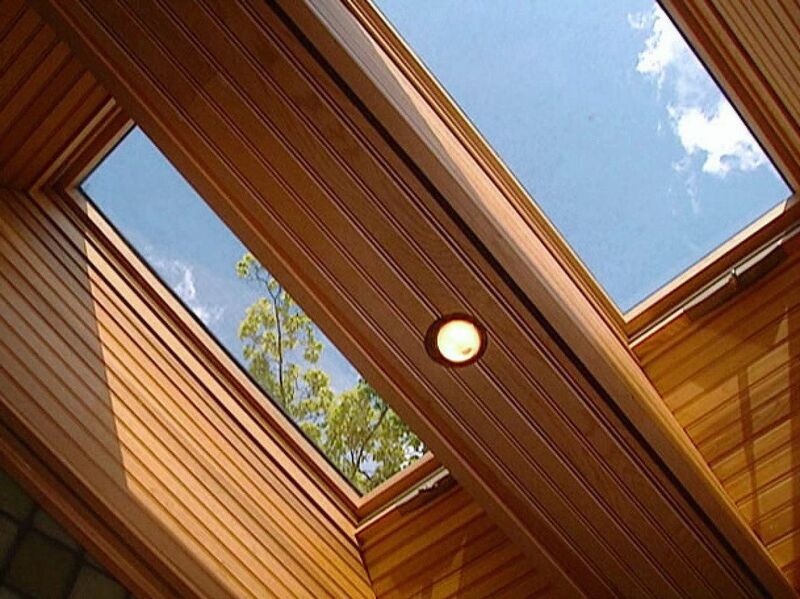 Always consider thermal performance in your design and utilize the free energy of the sun whenever you can. A smart, energy- efficient design from the start will keep heating and cooling costs within reason. Use passive solar design (roof overhangs, awnings and trellises, tile floors, walls with thermal mass) to take advantage of free wintertime solar heat. Install hydronic in-floor or baseboard heat rather than forced air, if possible. Radiant heat provides a steady, even heat and promotes a healthier indoor air quality, and saves money. Use natural cooling strategies to keep cooling costs down in warm weather, such as roof overhangs, awnings, trellises, shade trees, whole house chimney effect, cross-ventilation, skylights and ceiling fans. Use solar-powered attic fans. Use day lighting (interior windows, skylights, roof monitors, solar light tubes) to improve mood by increasing melatonin production in wintertime and to cut electricity costs. Avoid building an attached garage, especially with a bedroom over the garage. Gasoline fumes outgas from the fuel tank of the car. If the garage is already attached, weather strip the entry door to the living space to seal it off from out gassed fumes. Place a plastic vapor barrier between the attic of the attached garage and the walls of adjoining bedrooms.